Newsboxes that aren't maintained and that distribute low-quality papers detract from Rosslyn's cityscape. 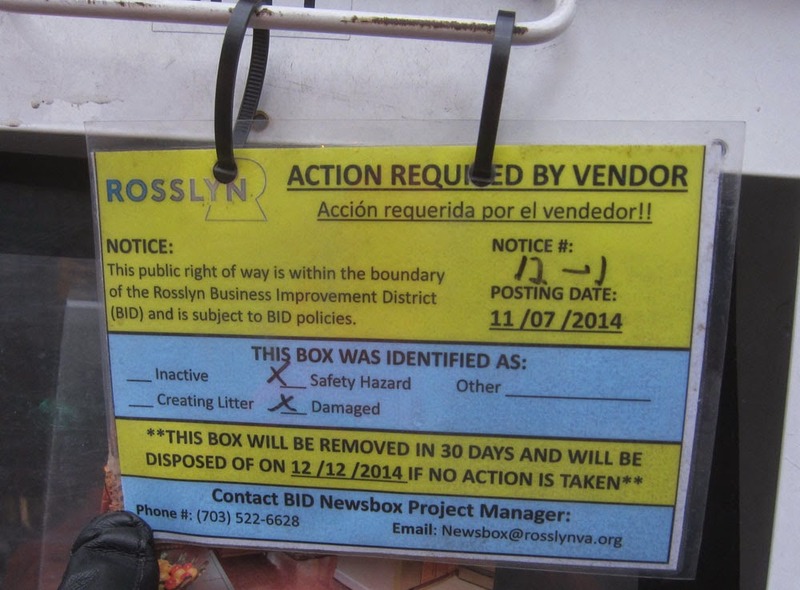 Rosslyn BID's Newsbox Project seemed like promising effort to clean-up Rosslyn's streets. But it has fallen behind its posted schedule. The Ode Street Tribune provides free home delivery of its newspaper. Just enter your email address in the box on the right hand column of the Tribune's website. Then you'll get the Tribune delivered to you early in the morning to start your day right. The Tribune urges other Rosslyn papers to follow the Tribune's lead and shift to free home delivery.